Eczema is a form of dermatitis or inflammation of the epidermis. The term eczema is broadly applied to a range of persistent skin conditions. These include dryness and recurring skin rashes which are characterized by one or more of these symptoms: redness, skin edema (swelling), itching and dryness, crusting, flaking, blistering, cracking, oozing, or bleeding. Areas of temporary skin discoloration may appear and are sometimes due to healed lesions, although scarring is rare. In contrast to psoriasis, eczema is often likely to be found on the exterior aspect of joints. Individual susceptibility to the offending agent. Any other condition which lowers local skin resistance. Atopic eczema is an allergic disease believed to have a hereditary component and often runs in families whose members also have hay fever and asthma. Itchy rash is particularly noticeable on head and scalp, neck, inside of elbows, behind knees, and buttocks. Experts are urging doctors to be more vigilant in weeding out cases that are, in actuality, irritant contact dermatitis. It is very common in developed countries and rising. C.D. is of two types: allergic (resulting from a delayed reaction to some allergen, such as poison ivy or nickel), and irritant (resulting from direct reaction to a detergent, such as sodium lauryl sulfate). Some substances act both as allergen and irritant (wet cement). Other substances cause a problem after sunlight exposure, bringing on phototoxic dermatitis. About three-quarters of cases of contact eczema are of the irritant type, which is the most common occupational skin disease. Contact eczema is curable provided the offending substance can be avoided, and its traces removed from one’s environment. X.E. is dry skin that becomes so serious it turns into eczema. It worsens in dry winter weather, and limbs and trunk are most often affected. The itchy, tender skin resembles a dry, cracked, river bed. This disorder is very common among the older population. Ichthyosis is a related disorder. Seborrheic dermatitis (“cradle cap” in infants) is a condition sometimes classified as a form of eczema which is closely related to dandruff. It causes dry or greasy peeling of the scalp, eyebrows, and face, and sometimes trunk. The condition is harmless except in severe cases of cradle cap. In newborns, it causes a thick, yellow crusty scalp rash called cradle cap which seems related to lack of biotin, and is often curable. Sensitization of skin after exposure to sunlight or contact with substances having a phototoxic or photoallergic effect, & characterized by smarting, burning & hyper-pigmentation. Common in summers. Exposed parts usually extensor surfaces. Common sites are face, neck, hands, forearms & feet. Also known as pompholyx, vesicular palmoplantar dermatitis, housewife’s eczema. Only occurs on palms, soles, and sides of fingers and toes. Tiny opaque bumps called vesicles, thickening, and cracks are accompanied by itching which gets worse at night. A common type of hand eczema, it worsens in warm weather. It is characterized by round spots of oozing or dry rash, with clear boundaries, often on lower legs. It is usually worse in winter. The cause is unknown, and the condition tends to come and go. Also known as stasis dermatitis, varicose eczema. Occurs in people with impaired circulation, varicose veins, and edema, and is particularly common in the ankle area for people over 50. There is redness, scaling, darkening of the skin and itching. The disorder predisposes to leg ulcers. Causes intensely itchy and typically symmetrical rash on arms, thighs, knees, and back. It is directly related to celiac disease and can often be put into remission with an appropriate diet. Also known as lichen simplex chronic, localized scratch dermatitis. It is an itchy area of thickened, pigmented eczema patch that results from habitual rubbing and scratching. Usually, there is only one spot. Often curable through behavior modification and anti-inflammatory medication. Prurigo nodularis is a related disorder showing multiple lumps. It is an eczematous reaction to an infection with parasites, fungi, bacteria or viruses. It is completely curable with the clearance of the original infection that caused it. The appearance varies depending on the cause. It always occurs some distance away from the original infection. Early removal from offending agent. Adequate physical & mental rest. It is often indicated eczematous eruptions when there are thick, horny callosities in the skin. – For children and young people inclined to grow fat; for the extremes of life. – Old people with morning diarrhea, suddenly become constipated, or alternating diarrhea and constipation; pulse hard and rapid. – Sensitive to the cold < after getting a cold. – The child is fretful, peevish, cannot bear to be touched or looked at; sulky does not wish to speak or be spoken to; angry at every little attention. – Great sadness, with weeping. Loathing life. – Anxious lachrymose mood, the slightest thing affects them; abject despair, suicide by drowning. – Irresistible desire to talk in rhymes or repeat verses. It is a valuable remedy for Eczema, when vesicles appear, which turn into pustules and for scabs, with copious scaling and much burning. Great Prostration, with rapid sinking of the vital forces; fainting. Anxious, fearful, restless, full of anguish. Irritable, sensitive, peevish, easily vexed. The greater the suffering the greater the anguish, restlessness, and fear of death. Mentally restless, but physically too weak to move. It is indicated in the Eczema for children, when it appears on the scalp, with a tendency to spread downwards and over the face. Frequently it appears in patches on the face or scalp, forming thick crusts, which are often white, like chalk deposits. Leucophlegmatic: blond hair, light complexion, blue eyes, fair skin; tendency to obesity in youth. Psoric constitutions: pale, weak, timid, easily tired when walking. Disposed to grow fat, corpulent, unwieldy. Children with a red face, flabby muscles, who sweat easily and take cold readily in consequence. Large heads and abdomens; fontanelles and sutures open; bones soft, develop very slowly. The curvature of bones, especially spine and long bones; extremities crooked, deformed; bones irregularly developed. Head sweats profusely while sleeping, wetting pillow far around. Very useful in Eczema, which looks very much like that of Ars., but with rough skin and oozing of a glutinous liquid. The eczematous eruption appears about the eyes, on the cheeks, on and behind the ears, on the top of the head and down the occiput; it may also be scattered here and there over the surface of the body, particularly in the bends of the joints. “Excessive cautiousness; timid, hesitates; unable to decide about anything. Fidgety while sitting at work. Sad, despondent; music makes her weep; thinks of nothing but death. Eczema of lids; eruption moist and assured; lids red and margins covered with scales or crusts. It is called for in eczematous eruptions, which have a purulent discharge, and are accompanied by itching. For torpid lymphatic constitutions; persons with light hair and complexion, slow to act, muscles soft and flabby. The slightest injury causes suppuration. Diseases where the system has been injured by the abuse o Mercury. In diseases where suppuration seems inevitable, Hepar may open the abscess and hasten the cure. Oversensitive, physically and mentally; the slightest cause irritates him; quick, hasty speech and hasty drinking. The patient is peevish, angry, or at the least tried; hypochondriacal; unreasonably anxious. Extremely sensitive to cold air imagines he can feel the air if a door is opened in the next room; must be wrapped up to the face even in hot weather; cannot bear to be uncovered. It is useful when the Itch has been complicated with pustulous and eczematous eruptions. Best adapted for light-haired persons; skin and muscles lax. In bone diseases, pain worse at night; glandular swellings with or without suppuration, but especially if suppuration be too profuse. Cold swellings; abscesses, slow to suppurate. Profuse perspiration attends nearly every complaint, but does not relieve; may even increase the suffering. Great weakness and trembling from least exertion. It is useful esp. in scrofulous cases, when hard, thick, chalky crusts form, which crack and ooze copiously of pus. Itching is more intense at night when the patient is warmly wrapped up. Sometimes pimples surround the main seat of the disease. It should be compared with Rhus Tox. For light-haired, irresolute persons of a phlegmatic temperament. Eczema and itching eruptions after vaccination. Hypochondriacal and despondent; angry at perfectly harmless things, but is soon sorry for it. It is called for in an Eczema, which appears in thick scabs, oozing pus and matting the hair together, a crusta lactea, in fact. Scaly eruptions on extensor surfaces and the bends of joints. For the anemic and cachectic, whether from lots of vital fluids – profuse menses, seminal losses or mental actions. Great emaciation; losing mesh while living well; throat and neck of children emaciate rapidly during summer complaint. Great liability to take cold. Irritability: child cross when spoken to; crying from the slightest cause; gets into a passion about tries, especially when consoled with. Awkward, hasty, drops things from nervous weakness. Marked disposition to weep; sad weeping mood, without cause, but consolation from others < her troubles. A scaly dirty-looking eruption with itching, worse from the warmth of the bed. Specially adapted to the psoric constitution. In chronic cases when well-selected remedies fail to relieve or permanently improve. The body has a filthy smell even after bathing. The whole body painful, easily sprained and injured. Great sensitiveness to cold air or change of weather. It may be used in Eczema, attended with thickening of the skin and formation of hard, horny scabs. One of our most effective remedies for the bad effects of alcoholic beverages; spasmodic hiccough; delirium tremens. It is useful in Eczema, when hard, thick chalky crusts form, which crack and ooze copious pus. Adapted to persons of rheumatic diathesis; bad effects of getting wet, especially after being over-heated. It may be used in eczematous eruption on any part of the body, but esp. apt to be found on the head and face; the eruption is usually dry and formed of very thick scabs and itches violently; when scratching stops the itching in one place, it goes to another. At other times, these scabs are moist and yellowish in color and very offensive. Eczema rubrum. Gouty eczema with much oozing. Skin dry, rough, scaly, voluptuous itching _ “feels so good to scratch Itching in skin, even of the whole body, worse at night, or in morning, in bed, and often with pain as of excoriation, heat, itching (soreness), or bleeding of the part which has been scratched. Adapted to persons of a scrofulous diathesis, subject to venous congestion; especially of the portal system. Persons of nervous temperament, quick motioned, quick tempered, plethoric, skin excessively sensitive to atmospheric changes. For lean, stoop-shouldered persons who walk and sit stooping like old men. Standing is the worst position for sulfur patients; they cannot stand; every standing position is uncomfortable. Suffering from Eczema? If traditional medicine has failed you, try the natural, homeopathic medicine. Contact Safaa Elbanna for a customized treatment plan. 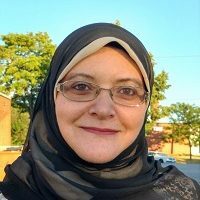 Safaa Elbanna is a certified Homeopath and Holistic Skin Care Practitioner and a retired Dermatologist and Cosmetic Surgeon. Safaa helps busy working ladies avoid the aging effect of physical and mental stress, especially on the skin through natural, homeopathy medicines and techniques. Oh my goodness! Awesome article dude! Thanks, However I am experiencing problems with your RSS. I don’t know why I cannot join it. Is there anybody having similar RSS problems? Anybody who knows the solution can you kindly respond? Thanks!! I made this website through class with wordpressforcoaches.com. but yo can see word press on GoDaddy and build blog page only.